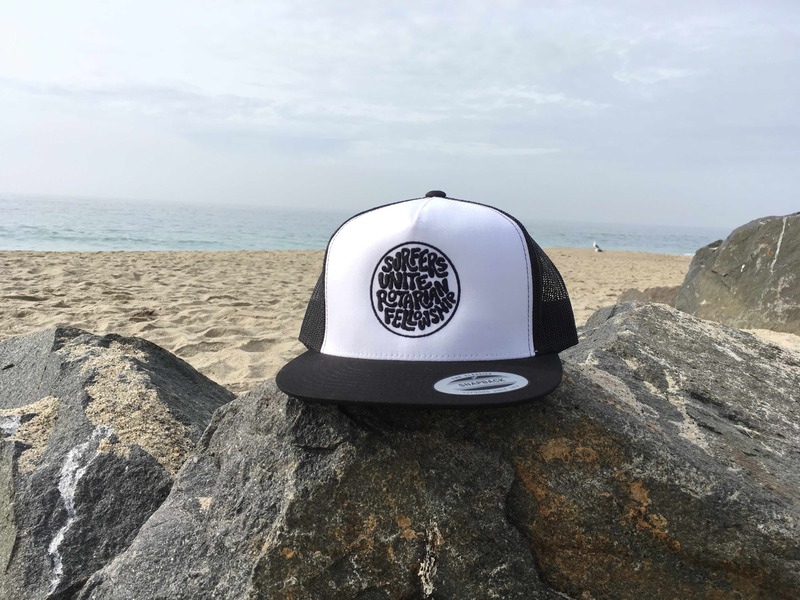 These white front trucker hats have a flat brim, snapback and over 7,000 of stitches for the Surfers Unite Rotarian Fellowship logo. Be bold, stand out in the crowd and wear this hat loud and proud. Now accepting preorders as these hats have been sold out.